Dimmable lights can add an air of sophistication to your abode, but setting them up? Not fun -- not unless you enjoy messing with home wiring or paying a lot of money. Philips might have a better way, though. It's trotting out a wireless dimming kit that turns any white Hue bulb (one is included in the box) into a dimmable light. The only real challenge is finding a place to mount the holder for the battery-powered remote switch. After that, you can dim as many as 10 bulbs at once just by clicking buttons. The kit will cost you $40 when it arrives in North America this September. 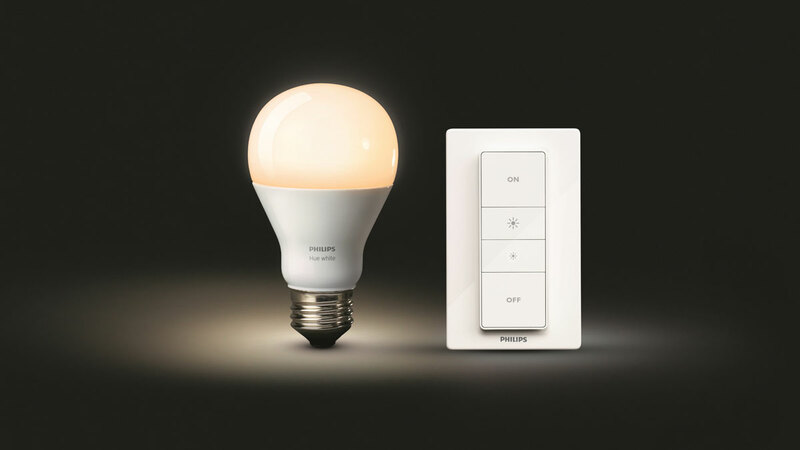 That's not a trivial outlay, but it's inexpensive enough that you may be tempted to skip plug-in dimming kits or in-wall installations.